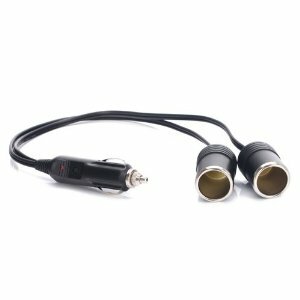 DC-2DC : DC Socket Splitter. 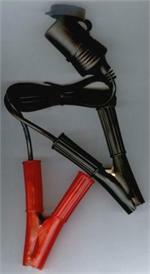 Plugs into 12-13.8VDC socket. Output is 2 DC sockets. DC3USB3.1: DC socket splitter with 2 x USB ports (3.1A total). 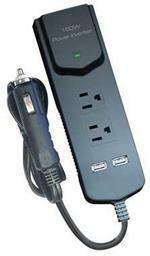 Plugs into 12-13.8VDC; has 3 x DC socket outputs AND 2 x USB ports (with 3.1A combined output) for charging phones & tables. BP-1240 : The ON-THE-GO PACK - 12volt 4Ah rechargeable Ni-MH Portable DC Power Pkg. Includes charger. The BP-1240 is a 12volt 4000mAh Portable rechargeable Ni-MH battery pack. Manufactured by BATTERIES AMERICA using premium SANYO Ni-MH cells. 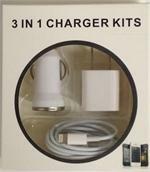 Includes battery assembly, padded case w/ steel belt clip, DC socket, and wall re-charger.